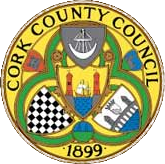 Cork County Council is facilitating breakfast meetings free of charge, on food waste prevention and the food waste regulations for all businesses that are food waste producers. The workshops are targeted at small to medium size businesses that produce food waste. The workshops provide advice on how to improve their efficiency in reducing the food waste produced and give practical examples showing how much can be saved through food waste control. The first event was held in Cobh on November 27th last, and 30 companies attended. The next one will take place tomorrow 4th December, at O’Donovan’s Hotel, Clonakilty, from 10.30am until 12noon. Coleman Kelly of Cork County Council will talk on the food waste regulations 2009. Colum Gibson of Clean Technology Cork will talk on reducing waste costs in food Business. Click here to see the brochure for the Clonakilty event. For further information contact: Miriam Kiely, Cork County Council. by email Miriam.kiely@corkcoco.ie or phone 087 2046098.